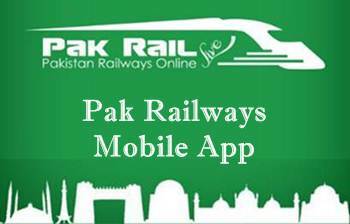 Today, Pakistan Railways has launched “Pak Rail Live” mobile app for train passengers. It lets the users track the exact location of trains in real time. It also provides schedules, estimated arrival time at stations and pre-arrival notifications. Now you will never miss a train or wait for a train which is late due to some unavoidable reasons as it will show the real time status of trains' location and estimated time. The tracking system has been installed on all passenger trains of Pakistan Railways. This mobile phone app will facilitate the passengers in tracking the location of the train and its actual arrival time on their stations. In the past, sometimes it became a very panic situation when you missed the train as you reached the railway station late. And next time when you reached in time but the train was late and you have to wait for a long time at the station. This type of problems were happened just due to lack of information to the passengers. But now after the launch of this innovative mobile app people will get rid of such problems.